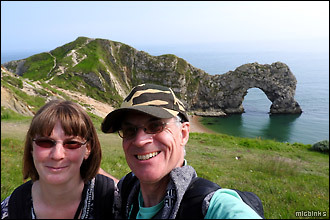 So it was off to delightful Dorset to visit some places we missed on our previous 2005 Dorset visit, with some wonderful walking along Dorset's dramatic Jurassic coastline. 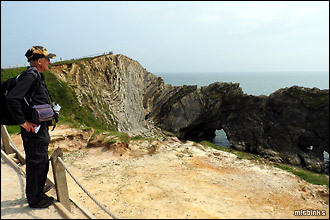 That included the spectacular Lulworth Cove, Stair Hole and, along the South West Coast Path (SWCP), to Durdle Door where we learnt all about these popular World Heritage geological wonders. 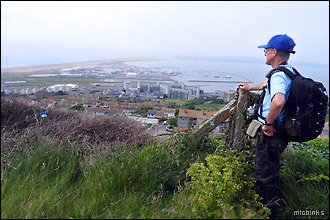 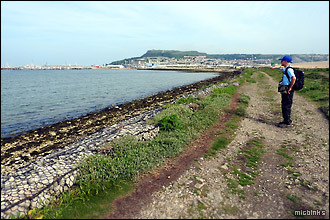 Then a visit to Chesil Beach for some fossil hunting and a walk to the Isle of Portland following several old railway trails - the Rodwell Trail and Merchants' Railway. 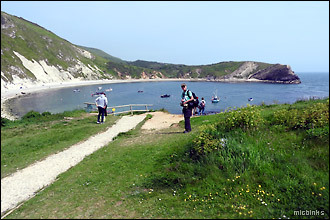 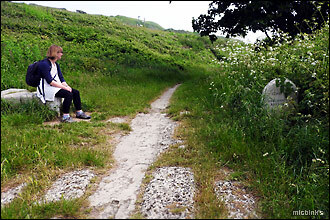 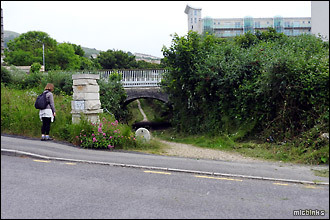 Away from the Jurassic Coast we enjoyed an inland trail walking part of the Purbeck Way from Corfe Castle to Wareham. 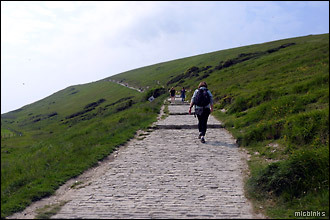 This is page one of two. 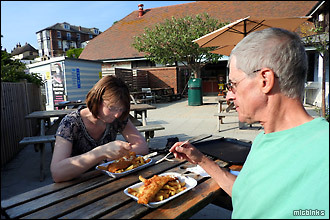 ...purchased some yummy fish and chips at the café at Lulworth Cove before heading back to the Dorset holiday cottage... but not before another selfie; that's two in one day, steady on! 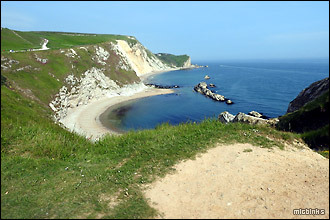 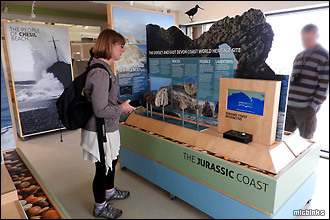 See our tourist resources for more on Dorset's Jurassic coast and geology. 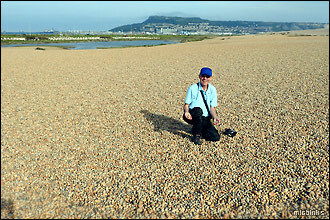 ...left Chesil Beach Mike just couldn't resist having a look for fossils - and he quickly found one! 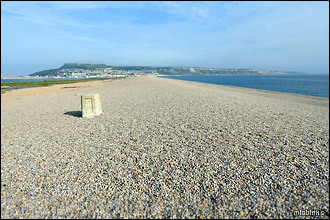 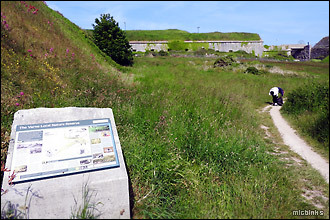 For the lowdown on how Chesil Beach was formed (clue: longshore drift), and the geology of Dorset's fantastic World Heritage Jurassic Coast, check our tourist resources; also our previous Dorset visit here in 2005. 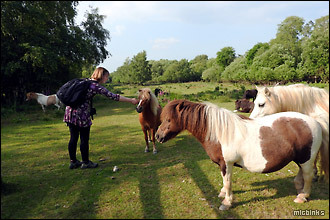 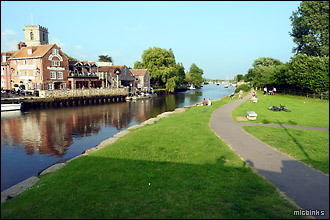 ...at Wareham alongside the splendid setting of the River Frome and the Priory Meadow nature reserve. 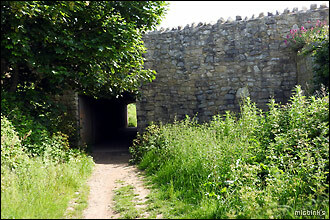 Here we followed the Frome to Wareham Quay and the end of an enjoyable walk. 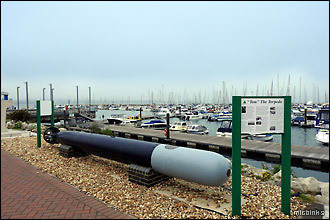 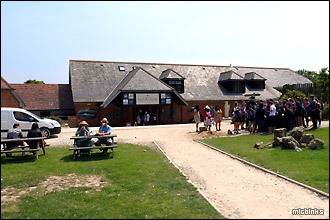 Join us as we go on to visit some more Dorset attractions - the Royal Signals Museum and Tolpuddle Martyrs Museum >>>. 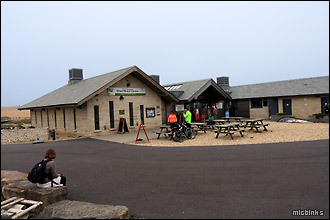 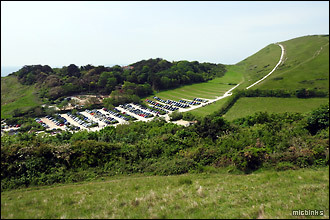 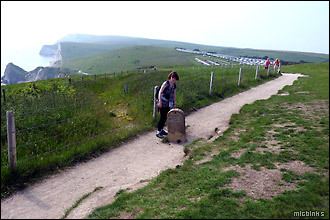 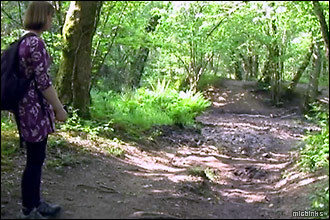 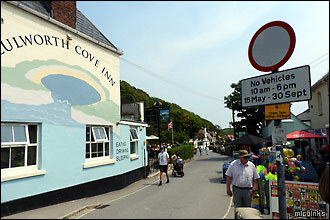 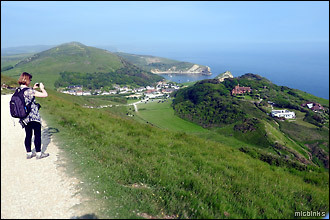 You might like to see our previous Dorset visit to Corfe Castle and Swanage Railway and our mountain walk up Snowdon.